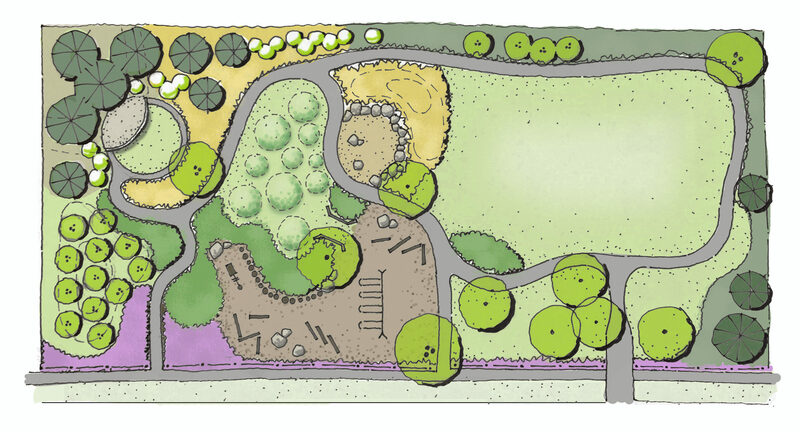 MacArthur Park, a livingLAB designed, nature-based play space in Trenton, MI received a $57,000 grant through the Wayne County Park Millage Fund to begin construction. The design incorporates natural materials to create a unique series of spaces and experiences within this much loved neighborhood park. livingLAB worked with the City and residents to design a master plan based on a series of unique child-focused experiences, including: a natural playground, the enchanted forest, fairy gardens, a little players stage, MacArthur mountains, a digging and construction garden, sensory fields, open lawn areas for flexible play, and a shaded picnic area. This initial grant funding will allow the city to begin implementation of phase one of the project. Prev - Lauren Hoffman, Certified Ecologist! Next - Gainsboro Park Grand Opening!